Here at The Chief Golf Course we pride ourselves on the high quality of magnificent golf, superb amenities and outstanding service that we offer our valued customers. We have worked hard over the years to become a staple of the community, and in the process we have earned recognition as one of the region’s premier golf experiences. 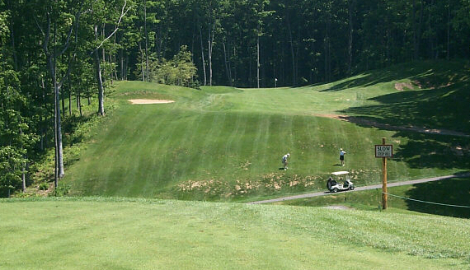 The Chief Golf Course is one of the most beautiful golf courses in Northern Michigan. 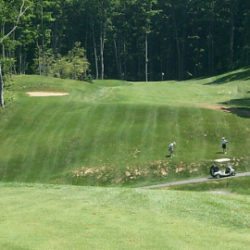 Its dramatic shaping, bunkers and water hazards make it a challenge for its patrons. An 18-hole championship golf course, The Chief winds its way through wooded hills, with breathtaking sunset views over Lake Bellaire. Golf Digest awarded The Chief Golf Course a 4-star rating for best places to play in the 2008-2009 edition. The Chief, coined, The Spirit of the North, represents the perfect harmony between natural beauty and the game of golf. Carved through the rolling terrain of Northern Michigan, The Chief will overwhelm your senses with dramatic elevation changes and impeccable conditioning.